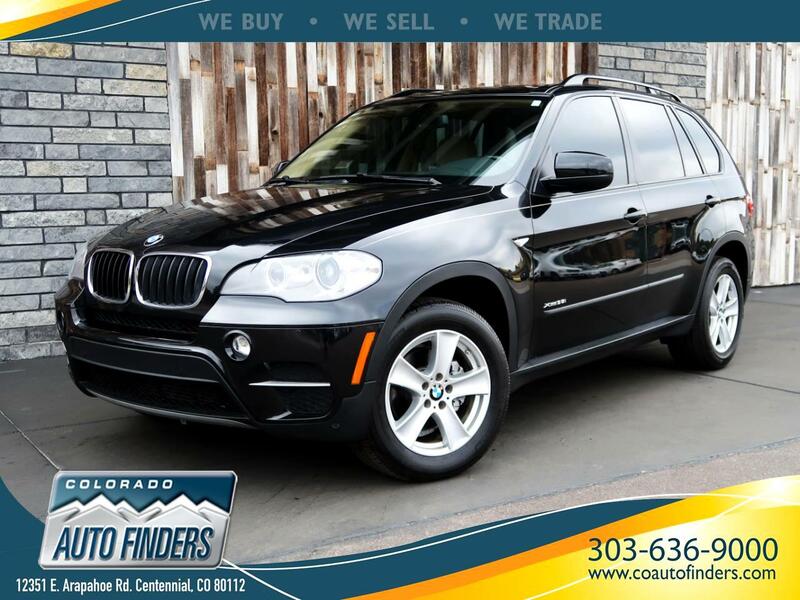 This 2012 BMW X5 is for sale in Centennial, CO. Stylish Sporty Comfortable Powerful Latest Electronics Safe year around All Wheel Drive driving makes this X5 the SUV to buy. Navigation System, Panorama Roof, Park Distance Control, Power folding mirrors and tailgate lift and good service history are some of the reasons to own this BMW. It was gently driven and originally sold for $54,325 (MSRP in glove box) and with only 80k miles, it presents a phenomenal value today! - X-Drive All Wheel Drive. - Strong & reliable Inline 6 twin turbo engine with 8-Speed Automatic transmission. - Bluetooth USB-/phone & audio interface. - Smooth, quiet, powerful and stylish to drive. - With 80,318 miles it was serviced, mechanic inspected and certified for additional four years optional Bumper to Bumper extended service contract.